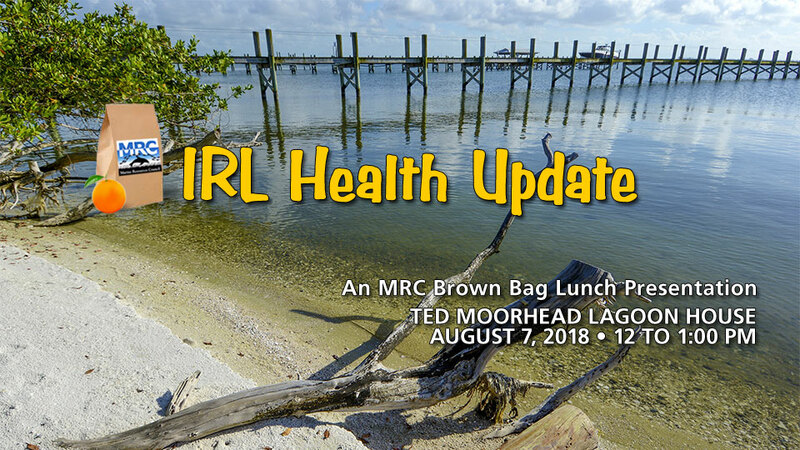 Dr. Leesa Souto, Executive Director of MRC, will speak at the August Brown Bag about the goal of MRC’s IRL Health Update: to compare key health indicators with healthy targets every year to assess how Lagoon conditions are changing over time. This three-year study has finally resulted in the publication of the first IRL Health Update. We need to keep this project independently funded to remain objective and apolitical — donate online today to help support next year’s update!